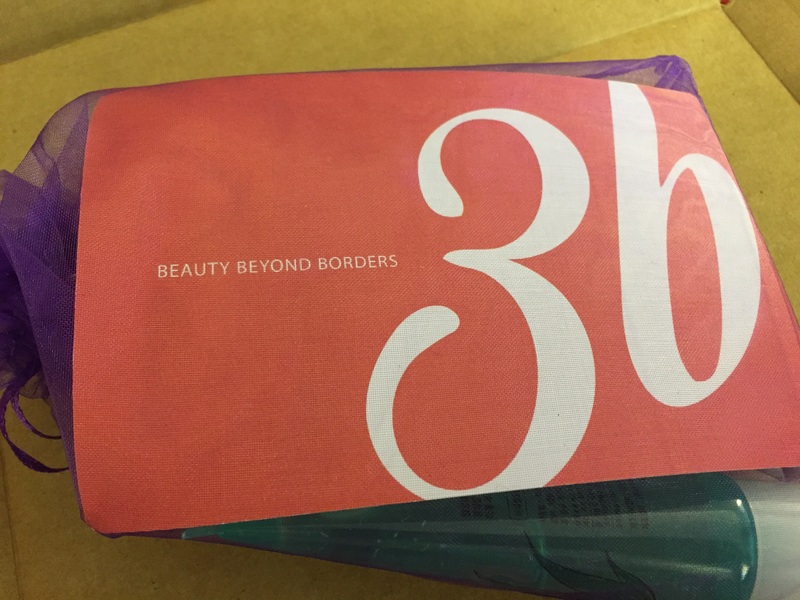 3b stands for Beauty Beyond Borders and is a beauty subscription that seeks to bring you the best in Asian and perhaps products. I have heard a ton about these types of products and so decided why not give this box a whirl because it was $12 which isn’t too much of a monthly gamble for me. I mean, all I have to do is get a cheaper bottle of wine or two and the budget it all good! There is a waitlist to sign up. If you decide you are interested I suggest you get on it and they will email you to tell you when a spot opens up. I think I waited over a month. It is not like the fake Ipsy waitlist! Oddly, I noticed that they say the $12 subscription also includes “Unlimited access to our team to answer any questions you might have.” This to me feels like a challenge of sorts. Wouldn’t it be funny if I started writing this team all sorts of odd questions? I wonder what kind of relationship advice they give! Skinfood Aloe Soothing Body Wash: I was hoping for the shampoo option because I was going to send this to another blogger. She already has the body wash so I am not going to be a hero this month. I personally use body washes far more than shampoo so this is pretty nice! I am going to save it for an upcoming business trip. Everyone else will be smelling like the hotel stuff, I will be smelling of soothing aloe! What if we actually had to feed our skin? Mine would probably eat a ton of coconut oil! 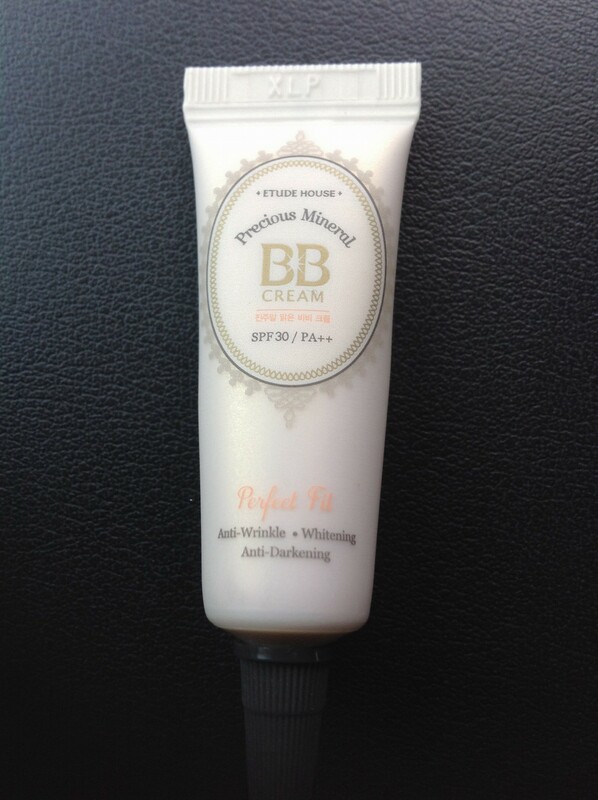 Etude House Precious Mineral BB Cream: This product says in a million different ways that it will not make me dark. This formula is thicker then what I am used to and when they say start with a small amount they mean it. The sample may seem small but it is actually something you could mix with something else and get an even lighter coverage. For those who don’t want to use full on foundation but still don’t want everyone to know that you may have an imperfection or two, this is the stuff. I am wearing it now and I noticed that it feels lightweight. 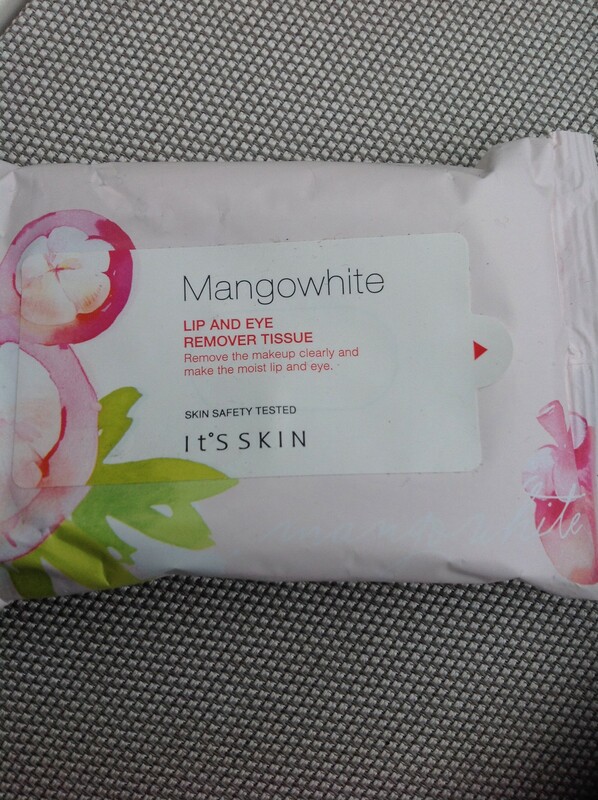 It’s Skin Mangowhite Lip and Eye Remover Tissue: I use make up wipes every single day so this is a major score. The pack has 15 tissues and again will be something I can bring alone on my business trip I suddenly seem to be obsessing about. I took a look at the ingredients and they have put a ton off fruit into the formula so I bet this really does help to brighten skin tone! They should make these in super giant size for camping! A’pieu Finger Blusher: At first I took this super literal and thought it was some sort of new hand trend in Korea. Then I had my coffee and realized it is a cream blush for the face that one can apply with their fingers. Wow, that could have been some post! Anyway, this is a formula that gets great reviews. I have yet to try it because I am still trying to look up ways to put it on that won’t leave me looking like a clown. Could you imagine if you had to put make up on your hands and face daily? Would magazines tell you to go with either a bold hand or bold face but not both or else you will look cheap? Verdict: I really like 3b because for the price point they really offer a deal. I am new to Korean and Asian beauty brands/products so this bag is the perfect way for me to give it a try without spending a ton of money on the bigger subscriptions. I have noticed that a lot of the products seem to be skin related so if you are more into make up you might want to check out other subs. I personally like the mix that I am getting so far from 3b! One blogger I really like is Beeju Boxes and she gets more Asian Beauty subs than I do so you might want to check her out! LOL, love it. But you know, I heard about some sort of illuminating foot cream the other day…. That hand blush just may go well with that. Then you can spend hours getting ready to even leave the house…. The burning question I have on Asian cosmetic lines is what preservatives do they use? Can you tell (do they have lists in English)? Once I get up from watching “Botched” and drinking white wine (like a boss) I will see. I know a lot of the stuff was in Korean. What type of words would I be looking for? That way I can try to look when I review things in the future as well! I really am wondering about phenoxyethanol. That stuff makes my eyes swell up. I’ll look from now on! Unboxing Beauty does a great job in providing as much information as possible. I’m doing a Korean skincare mask right now. I’m on the waiting list. This month’s box looks great. I dabble with Korean Beauty. I purchase Beautique’s Head to Toe bags sometimes and am receiving Mask Genie. I didn’t really get the obsession with Asian beauty products. I am still not 100% in. My personal view of beauty is not always in line with the products. However, it is fun! So maybe that is it! The products are different. One of the head to toe bags I have is milk based including milk nail polish. What does the kitty think of this nail polish? I haven’t tried it. It’s a sickly green. Would you like me to be your hero and send you the aloe bodywash instead? I send free samples and everything! LOL I didn’t even notice that!!!! My game is off! You totally made my day with this because I 100% did not even see that!!!! !